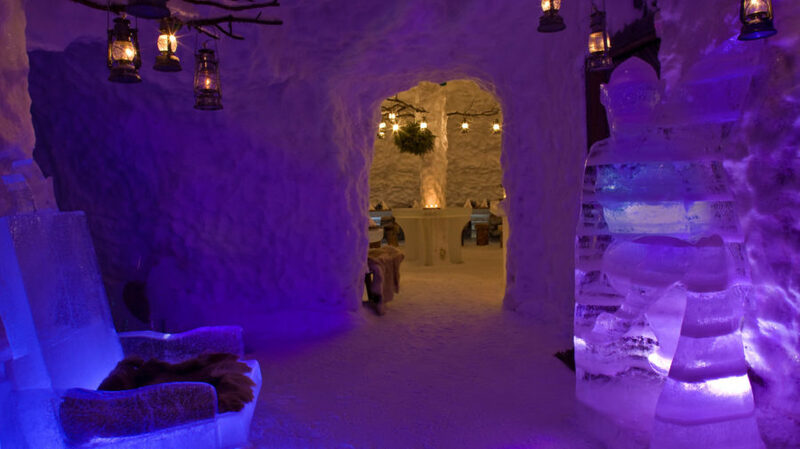 Spend a magical evening in Snowland snow igloo restaurant. 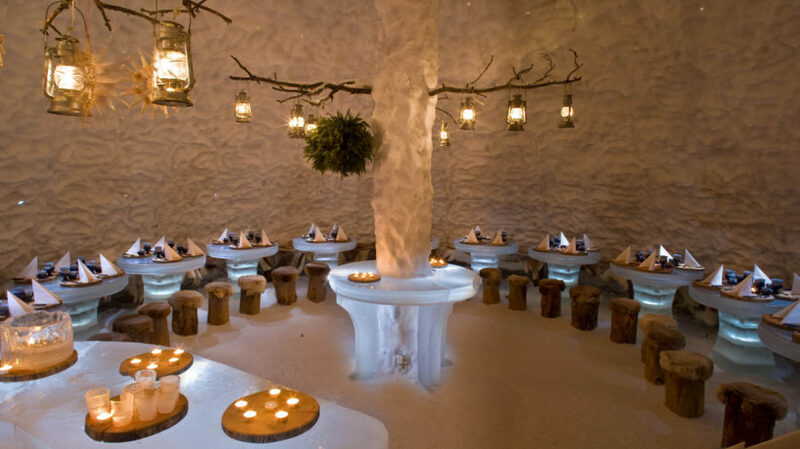 Enjoy a bowl of delicious steaming soup, Lapland´s exotic dishes and exciting taste experiences of Snowland´s own menu. 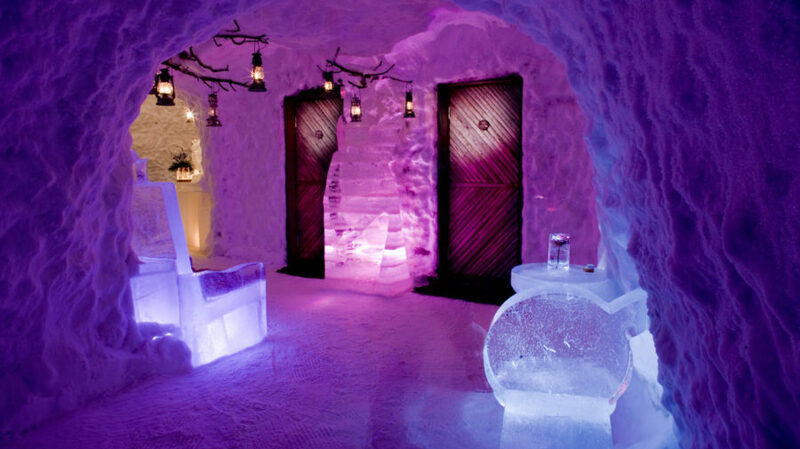 Ask more for ceremonies – weddings, arctic disco, snow buildings, chances to make snow sculptures. 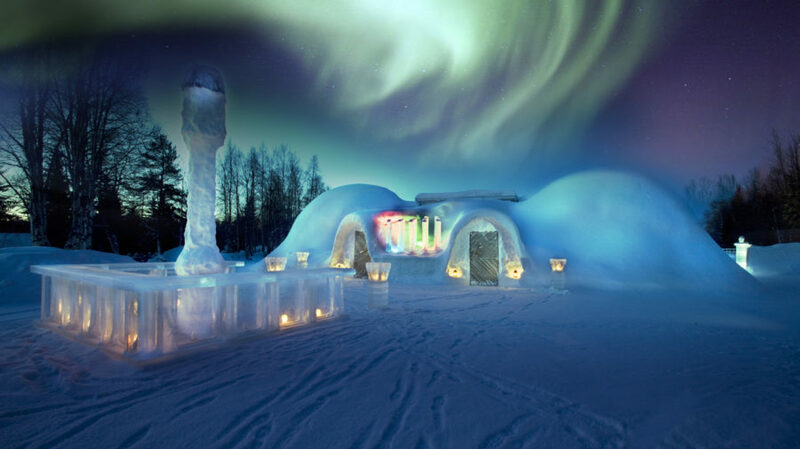 Igloo restaurant’s capacity is 260 persons, sound reproducers and microphones, ice tables, two ice bars, starlit sky and four entrances. Distance from Rovaniemi center 2,5 km. More details about opening hours	Available for groups up to 260 persons by request. Ask also dinner program for individual travelers.